The premise, that we should embrace and study area, is excellent and well presented in terms of scholarly writing combined with specific examples. The narrator, who was British, gave an extra bit of class to the excellent writing by speaking clearly, with style but not over-the-top and had a good, walking pace. 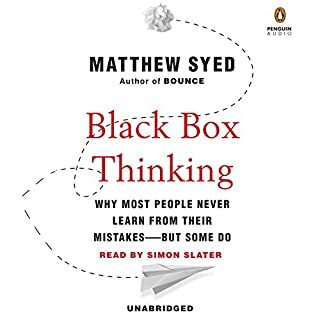 Another aspect of the book I liked, was that I was able to pause it for several days at a time and restart it without losing my memory of what was being presented. I was able to “find my place,“ by hitting the “back button“ for 20 or 30 seconds. I attribute this to the well-engineered writing style of the author. This book is another example that brevity is the soul of wit. 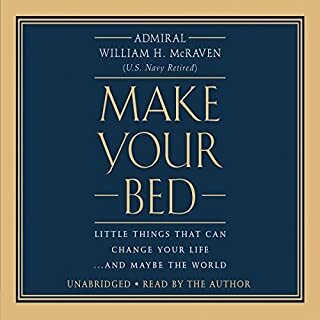 The admiral who wrote this book derived it from a commencement speech he gave at his alma mater, the University of Texas, in 2014. Thankfully he edited the book into 10 brief chapters with simple themes, but with wonderful illustrations from his life as a Navy Seal who rose to the rank of an admiral which gave him witness to hardship, grief, heroism and accomplishment by himself and others. I would recommend this book to anyone at any stage of life, because the lessons are universal. Those of us who have experienced life, are able to recall our own experience that matches the admiral‘s lessons as well and assess when we have measured up and when we have not. This is one of those audiobooks where I am so happy that the author narrated his book. It takes the confidence acquired by a military man who rose to a high level to have the voice and power to give meaning to the words. Well-researched and written book on a famous naval battle. 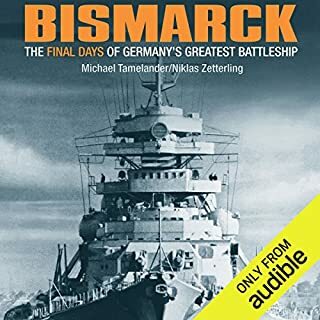 A very good book on the famous battle between the British and German Navies and during the earlier part of the war. This book is essential reading for anyone who cares about the future of the world where nuclear weapons still remain abundant. Rhodes' research is impeccable, and his writing style flows like water. 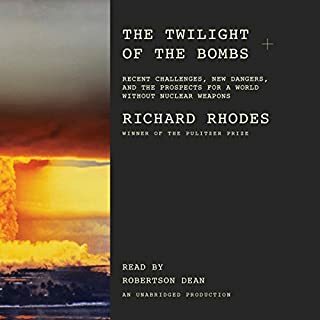 There is probably no author who knows more about the subject of nuclear weapons than Rhodes. The narrator, Robertson Dean, has a rich voice and reads the story at a very good but varied pace. I feel like Dean always takes time to learn the subject matter of the books he reads so that he understands the nomenclature and makes his reading a "performance." Well done to the author and the narrator! 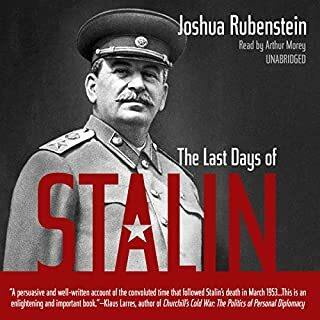 Joshua Rubenstein's riveting account takes us back to the second half of 1952, when no one could foresee an end to Joseph Stalin's murderous regime. He was poised to challenge the newly elected US president Dwight Eisenhower with armed force and was also broadening a vicious campaign against Soviet Jews. Stalin's sudden collapse and death in March 1953 was as dramatic and mysterious as his life. It is no overstatement to say that his passing marked a major turning point in the 20th century. What happened after Stalin died? What did you love best about The Last Days of Stalin? It was efficiently well-written and well read. Would you recommend The Last Days of Stalin to your friends? Why or why not? Yes if they have some knowledge about Stalin's importance. No. He is a good narrator. It's not the kind of book that moves you. Most of the people are Soviet thugs. 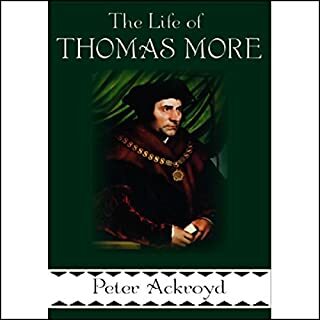 The Life of Thomas More went straight to #1 on the London Times best seller list when published in the United Kingdom. It remained in that position for over a month, garnering the kind of praise that is rarely given. Thomas More was not only a great man of the church, he was also arguably the most brilliant lawyer the English-speaking world has ever known. I hesitated in purchasing this book at first because one of the reviewers was critical of the narration. I thought the narrator did a very good job with a proper British accent, and while his pace seemed a little slow at first, it was necessary given the length of the book and the need to explain the type of English spoken during the relevant period and that there were Latin phrases. Sir Thomas More needs no introduction. I enjoyed hearing about his life because it gave me insight to how people lived 500 years ago. As a lawyer, it was interesting to learn how lawyers practiced law 500 years ago. Perhaps the most important thing to take away from the book is that the abuses of power in those days form the basis of why our founding fathers prepared a written constitution. While I recommend a book unconditionally, I will warn you that you have to be patient in listening to it because it is a rather long work. But, it needs to be because the subject of the biography was an accomplished person and prolific writer. 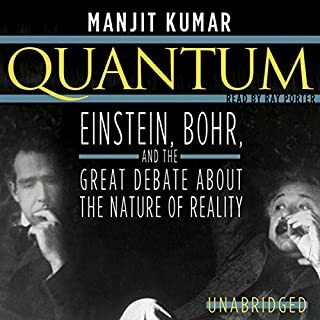 The author presented an excellent historical analysis of the conflict between Einstein's theories and quantum mechanics. The narration was first class. I appreciate it when the narrator takes the time to properly pronounce people's names and scientific nomenclature. The subject matter can be somewhat difficult to understand for a person that does not have a firm grasp on the historical evolution of physics. 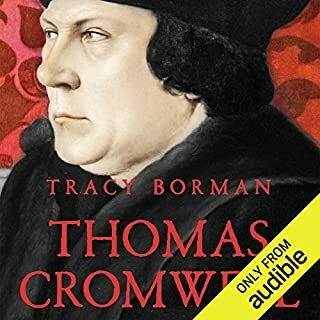 Thomas Cromwell achieved superlative power while serving Henry VIII. This book is very enjoyable, because in hearing the story, one learns about the daily lives of people nearly 500 years ago. The narration is first class. 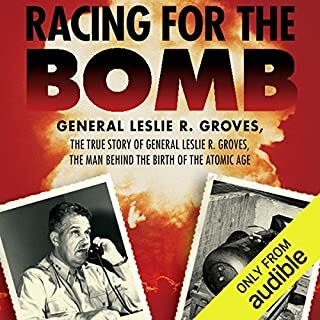 Revealed for the first time in Racing for the Bomb, Groves played a crucial and decisive role in the planning, timing, and targeting of the Hiroshima and Nagasaki missions. Norris offers new insights into the complex and controversial questions surrounding the decision to drop the bomb in Japan and Groves' actions during World War II, which had a lasting imprint on the nuclear age and the Cold War that followed. Would you consider the audio edition of Racing for the Bomb to be better than the print version? Yes. The book is so long and full of technical details that having it read, is much more pleasurable than reading. Most of the books on the Manhattan Project concentrate on the scientists' contribution to the success of the project. This book focuses on the engineering and industrialization required to make the bomb work. Without Groves' contribution the program would have fizzled. When General Groves contacts the Secretary of Treasury to borrow tons of the US Mint's silver needed to build the magnets to purify Uranium. Anyone wanting to know the story of the Manhattan Project should read this book and Richard Rhoads "The Making of the Atormic Bomb." Both are superb. The heroic and stoic life of a dedicated patriot. I've always had respect for the Army Corp of Engineers, but this book, which tells the story of a member of that corp. So it tells the story of West Point, the story of the Army Corp and the story of the massive industrial logistics that were necessary to put the great scientific theory into reality. Would you listen to Beethoven again? Why? Yes. You cannot separate the music from the person. The author told the story of Beethoven and wove in the analysis of his music synchronized with his life. What other book might you compare Beethoven to and why? 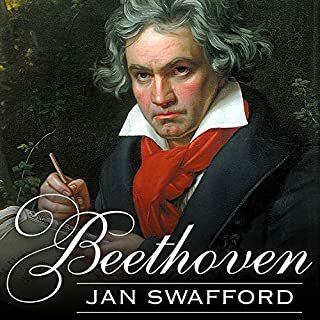 There are other masterpiece books about Beethoven, but this one gave the most expert analysis of the music. Beethoven's writing the Heiligenstadt Testament and his death bed. No film could do justice to such a person. Mr. Pritchard is an experienced and excellent narrator. His narration was wonderful, except he mispronounced "Pianoforte" 100s of times.